Product Information - This exceptional coat oil was developed specifically to give maximum conditioning and protection to the coat. 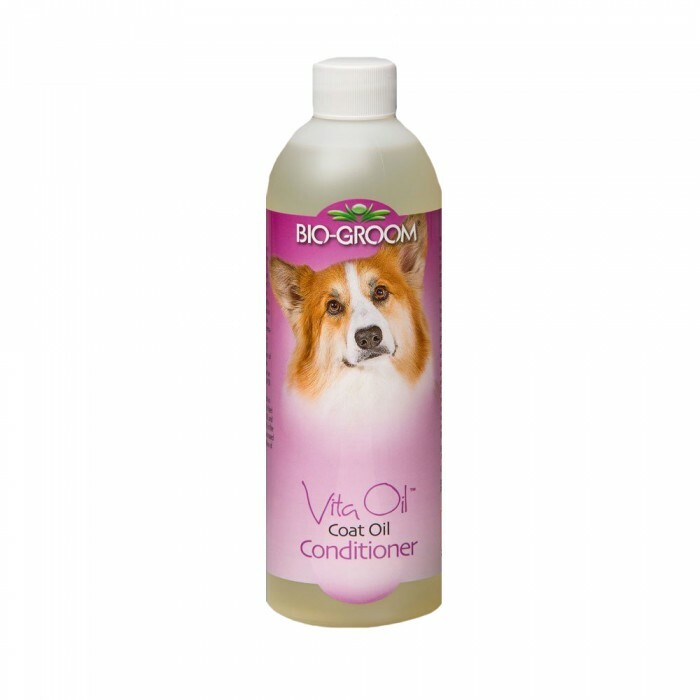 Rich in Wheat Germ and Lanolin Oils, and essential Vitamin E, Vita Oil prevents matting, tangling, and helps repair overworked hair, while moisturizing the skin. It contains no alcohol or silicone, and will not affect coats natural color. It is Anti-static and has a light fresh scent.